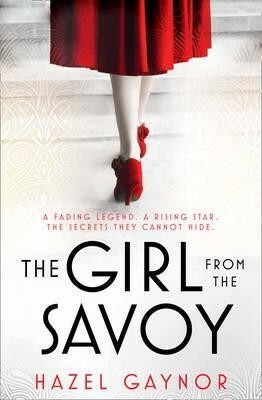 I would like to thank Harper Collins and Hazel Gaynor for my copy of The Girl From The Savoy in exchange for an honest review. 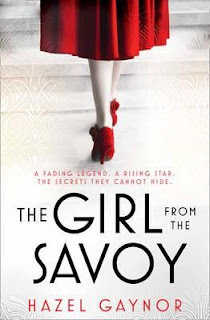 The Girl From the Davoy takes us back to the magical era of 1920's post war London, where we meet Dorothy 'Dolly' Lane, who had just gotten a job as a maid in London's most well established hotel, The Savoy. But Dolly has left a life behind in Lanchasire, in order to life in the bustling city that is London. With the man of her dreams ack home, the question is what dark secret forced Dolly to move to London. Loretta May is a huge West End star and someone that Dolly really looks up to. However, Loretta is also carrying a huge secret. When Dolly and Loretta meet, that learn more from one another that they ever could have imagined. The Girl From The Savoy is a such a magical story that has sweeped me off my feet and landed me in 1920's London. I loved every last page of this incredible book. 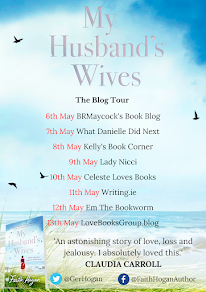 Hazel Gaynor has a huge talent for taking you back in time and allowing you to leave everyday life. The characters are beautifully written and became friends as the book progressed. From the moment I opened the book and started reading, Dolly captured my heart and captivated me. I loved the character of Loretta, but there is just something special about Dolly. I loved that this book had two very strong female leads. The Girl From The Savoy made me cry tears of sadness and tears of joy, sometime without even having to turn the page. The more the story and the characters developed, the more in love I became with the book. It was as if Hazel Gaynor was sitting beside me reading the story to me herself, he storytelling ability is faultless and utterly breath-taking. There is not one thing that I didn’t like about this book, every single page was filled with magic and sparkle. No other author does Historical Fiction as good as Hazel. The Girl From The Savoy is an absolute must read.